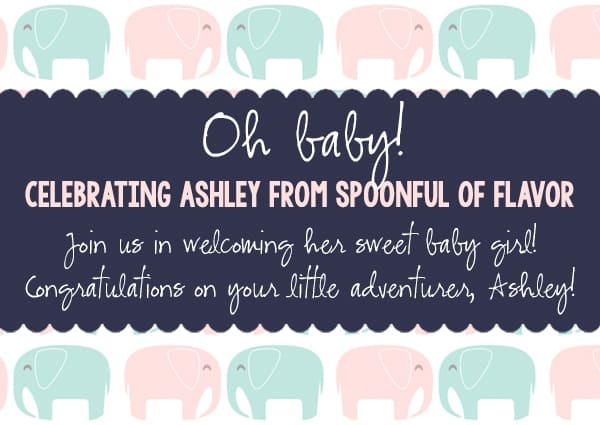 Today we are throwing a virtual Surprise Baby Shower for my sweet friend Ashley over at Spoonful of Flavor. See us bloggers, we live all over the US and can’t really throw an actual baby shower so instead we throw a virtual one and you get to reap the benefits …. LOTS OF YUMMY FOOD! Ashley and I started blogging around the same time. 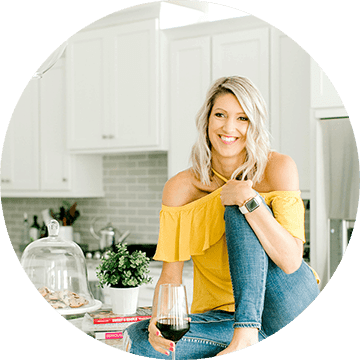 She was one of the first bloggers I met online and we found commonality in trying to “figure this thing out.” Although I think she has done a WAY better job of it than me. I am constantly amazed at how much of a superwoman she is! She works a full time job and not just any job, a demanding full time job so I have no idea how she manages to run an incredibly successful blog! –> superwoman! Not very many times do we bloggers actually get to meet each other face to face, but I had the chance to meet her and hang out with her in Miami at a Blog Conference. She is one of the sweetest, most real, down to earth people you will ever meet! I’m pretty sure she hasn’t met someone that didn’t like her, it’s impossible to not like her. She made me feel at ease, since it was one of my first conferences, and it was so easy to carry a conversation with her. She is always talking strategy and trying to find ways to work smarter not harder! I admire her so much and it’s an honor to help celebrate the soon to come birth of her baby girl! One of Ashely’s favorite foods is STRAWBERRIES … sooo get ready for a blast of strawberry goodness! 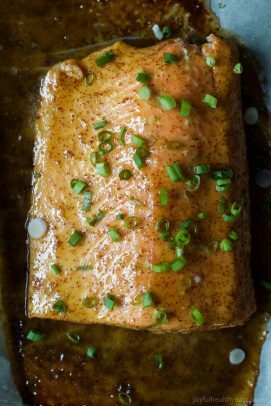 This Spice Rubbed Cedar Plank Salmon is rubbed down with a simple spice rub that is spicy and sweet than placed on a cedar plank to be smoked till delicious! When grilling with a cedar plank make sure you soak the plank at least 30 minutes before use (although you can soak it up to 2 hours if you want). This will ensure it doesn’t go up in flames. Although … hand to forehead! You will notice that my pictures do not have a cedar plank in the photo. Let’s just say that I had a little accident that I had to put out on the grill! I can’t help but laugh about it. Although I was really sad not to have the cedar plank in the picture because it is so pretty, but hey .. at least the salmon turned out! 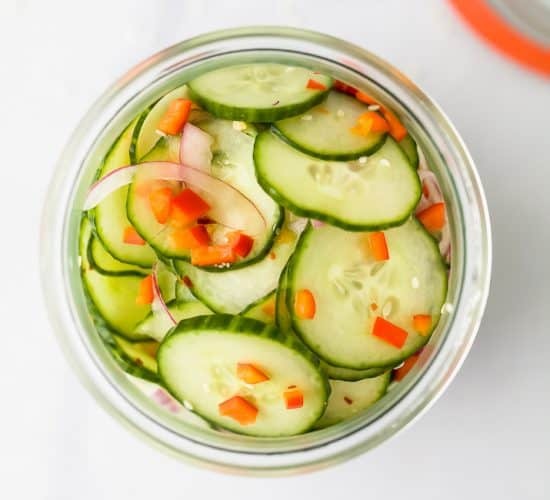 Not only is the recipe absolutely gorgeous and will cause your guests to marvel at how beautiful it is! 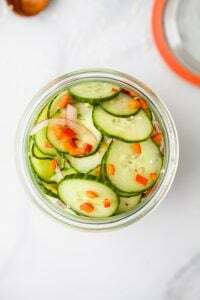 But it’s secretly easy to make and seriously delicious! 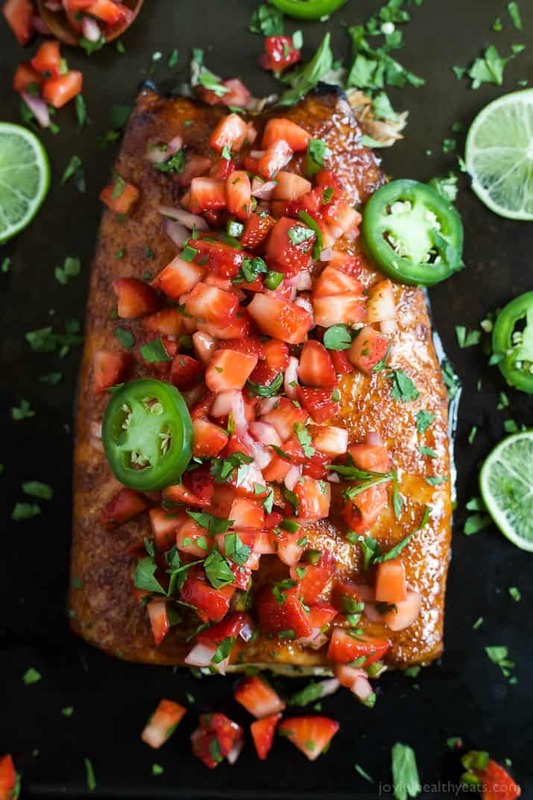 The combination of the spicy sweet rub that soaks into the salmon, along with the flavor from the cedar plank, combined with the fresh strawberry salsa will blow your mind AND your taste buds! I guarantee it will be a show stopper this summer. 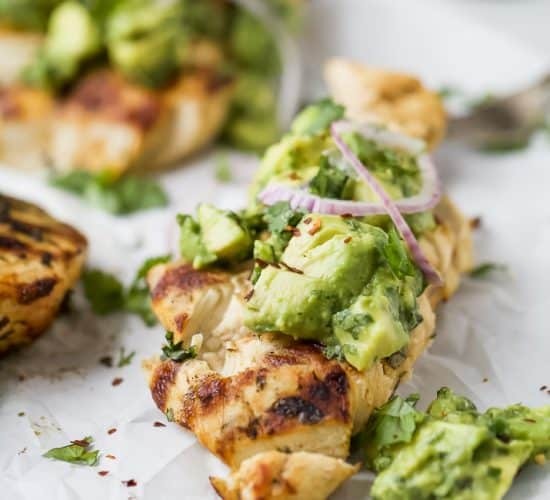 This dish is a must make! 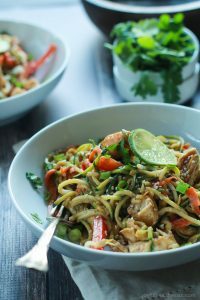 It’s a great change up for an weeknight meal plus it’s healthy and high in protein! You’re gonna love it! Be sure to check out the other Strawberry Recipes from the Baby Shower below! Soak wooden plank for at least 30 minutes or up to 2 hours. In a medium bowl add, strawberries, dice jalapeno, red onion, fresh cilantro, lime juice, and salt. Toss to combine everything. Set aside. In a small bowl, add brown sugar, ancho chili powder, smoked paprika and salt. 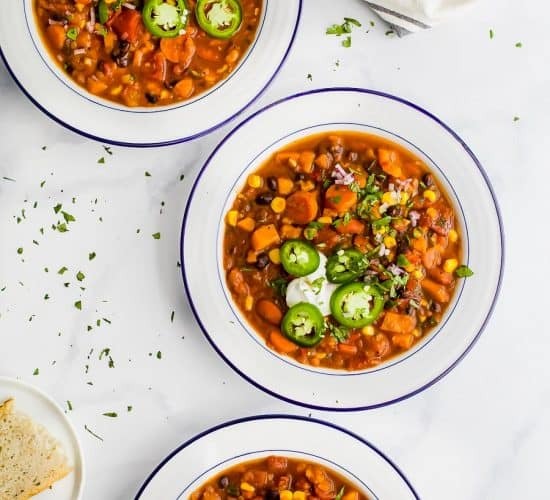 Stir everything together with a fork. Pat Salmon dry and place salmon (skin side downon) on the plank. 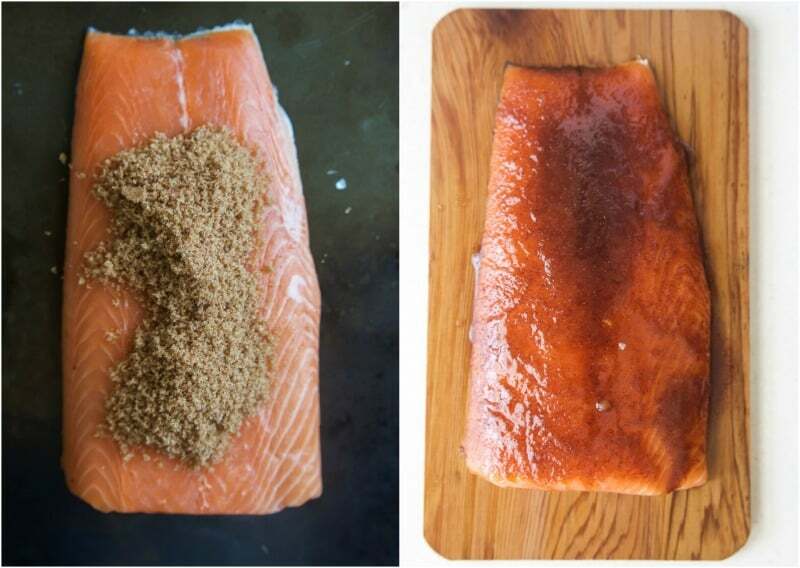 Gently rub spice mixture into the flesh side of the salmon. Grill salmon for 10-20 minutes, keeping the grill closed the entire time so as to smoke the salmon. 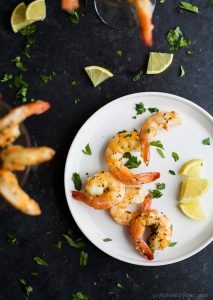 Remove from grill and let sit for 2 minutes. 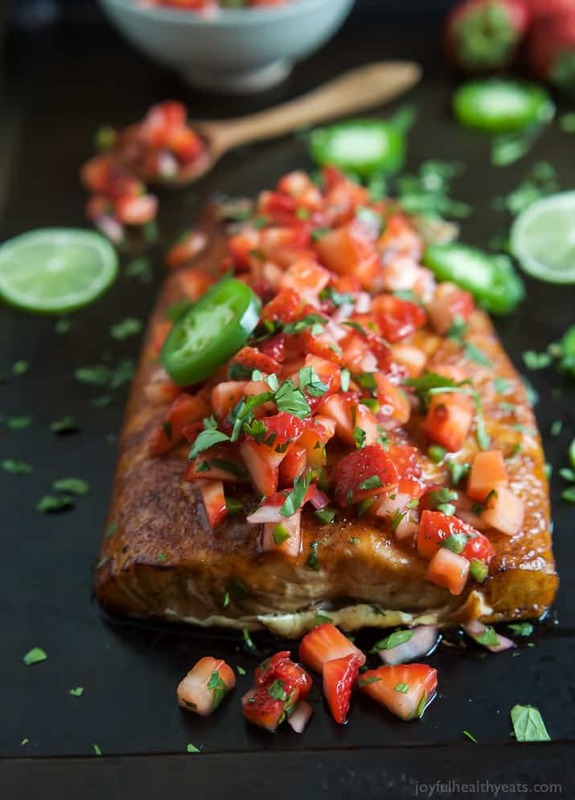 Top with strawberry salsa and serve! Thanks so much girl, I’m glad you felt loved today! You are going to make an incredible mommy! Just know those first 6 months are HARD … but then you start to feel like you’re coming out of a tunnel and it’s amazingness! Soak up every 2 am feeding and cries for mommy to hold her … they grow up so stinking fast! I love seeing these virtual showers! 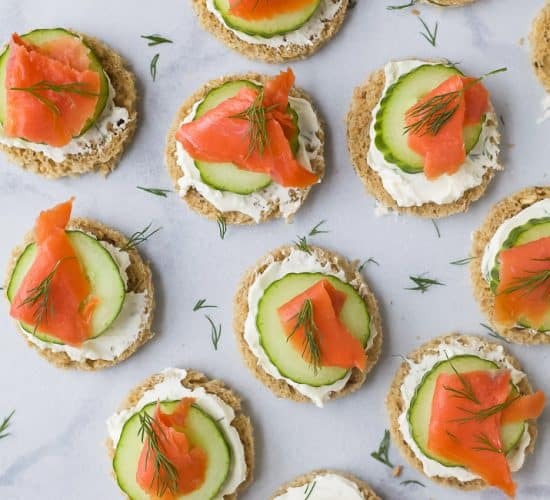 Not only does it show true friendship, but is shows how great the food blogging community is 🙂 Your salmon is one awesome recipe!! I had a somewhat similar grilling experience, but I was trying to light it and almost caught myself on fire – singed hair around my face, eyebrows and all. Eek! This salmon looks amazing! 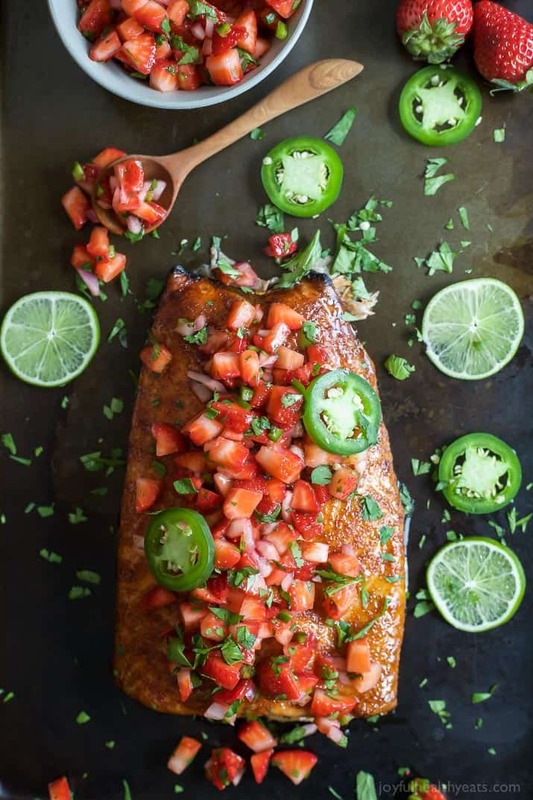 I definitely have to do this – love the strawberries and cilantro! haha… oh no! That’s crazy! I can’t believe it even got some of your eyebrow! Beautiful! 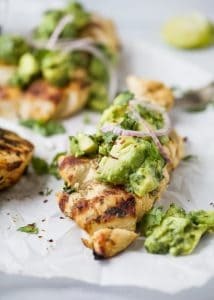 I love grilling on cedar planks, and that flavor combo sounds epic! Thanks for the inspiration! Cedar Planks are the bomb and so cheap! I don’t know why I don’t do it more often! Ok, this sounds so amazing! Love the flavors here! 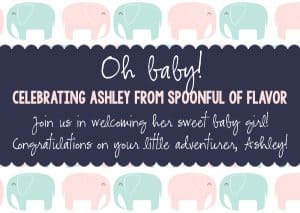 I love surprise baby showers! 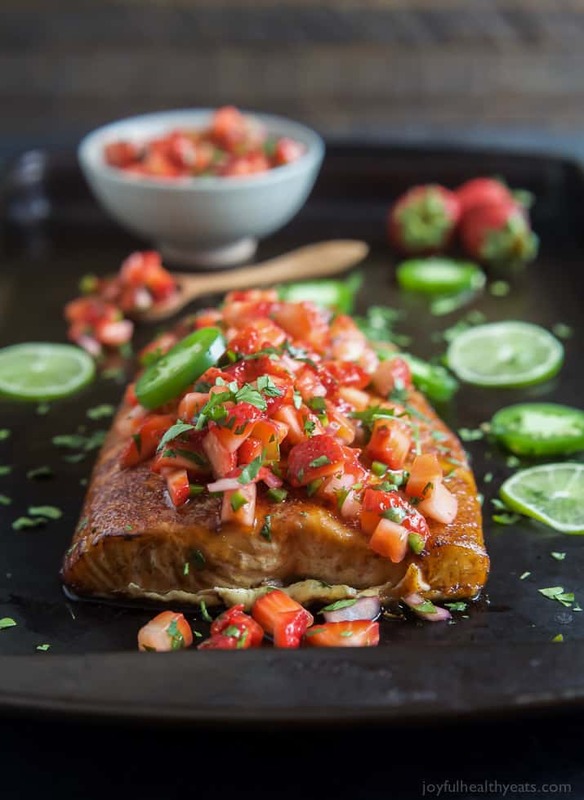 What a great dinner too – love the strawberry salsa! Wowwowow!Absolutley gorgeous! I’m sure the flavors are amazing, but this goes beyond…a treat to see, too! LOVE! Thank you so much Patricia, you are too sweet! 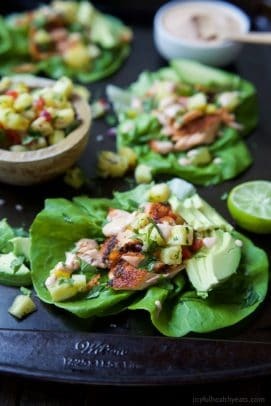 I love salmon paired with fruit salsa! This is gorgeous! 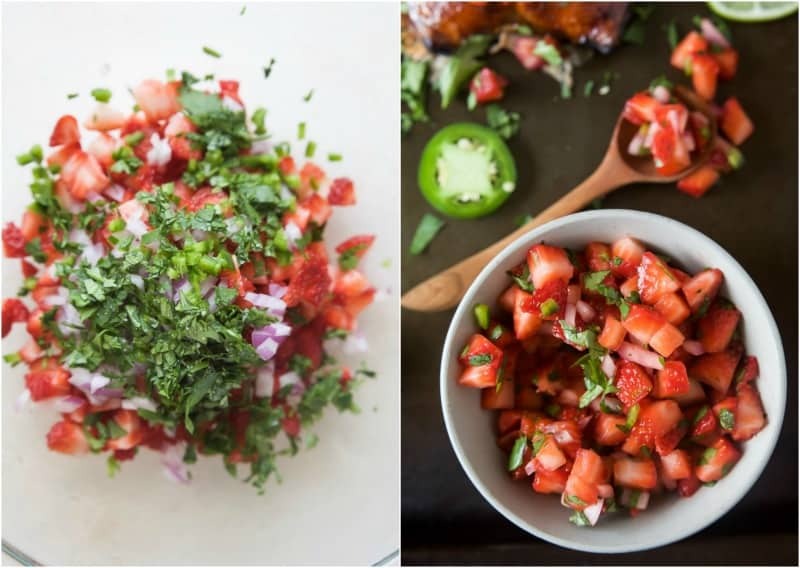 I’m so in love with this Strawberry Salsa! 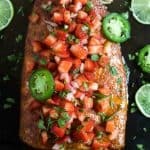 What a great salsa flavor for salmon! Strawberry salsa? A first but certainly not the last! This is fantastic Krista. Thanks Sophie. 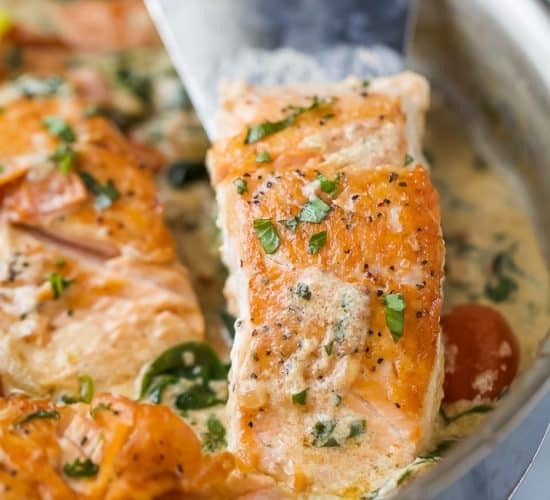 You’ll definitely fall in love with this dish if you are a salmon lover! And Ashley, yes, she’s a superwoman! I LURVVVEEEEEE salmon! And I don’t usually have it on a cedar plank, but this looks phenomenal. 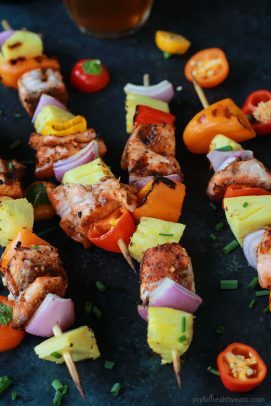 I’ve never tried salmon with fruit besides pineapple either–it sounds wonderful! I hadn’t either, this whole thing was new to me but totally delivered on flavor! You definitely need to try it!